“The Holocaust”, as presented, is a clumsy lie, those of us who have taken a closer look know that. But, the masses of the unwashed are not about to take a closer look, chemical and technical details are of no interest to them, they are satisfied with the theatrical props that are provided by the Industry. My younger brother for instance, who would be well capable of understanding those details, refuses to consider them. He told me that he has seen the shoes and glasses on his pilgrimage to Auschwitz and that is all he needs to convince him that “it” happened. It is time for Revisionists to come to terms with that. The Industry uses the ‘kiss’ (keep it simple stupid) system, so should Revisionists. The French, ahem, intellectuals stated, and I am quoting from memory: One should not ask how it was technically possible, it happened, therefore it was possible, (Amen). Witness testimonies and other assorted tall tales is the base of this “Holocaust”, and it has worked well so far. Just the other day I started to watch a British drama on Public TV, they have good shows at times. During the show an elderly chap told his daughter that he had been an ambulance driver during WWII and his crew found a life baby among the bodies at Bergen Belsen (thus ended the show for me). 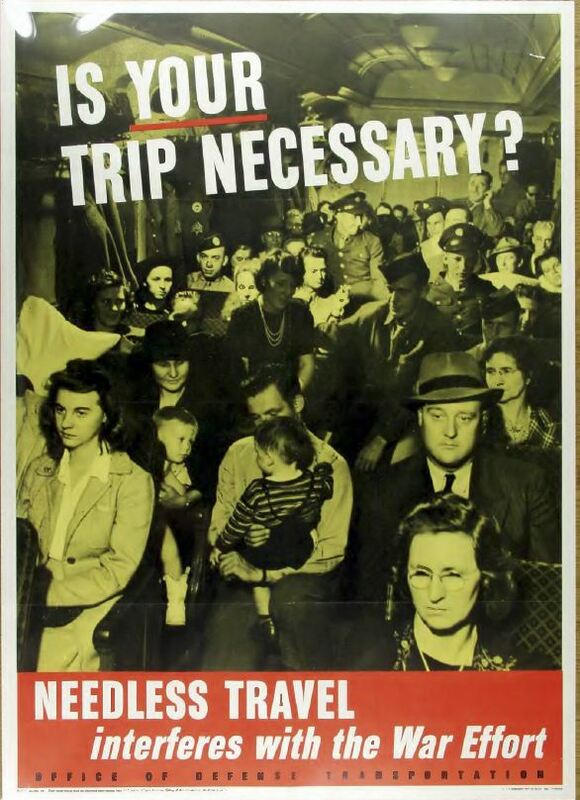 That those were the bodies of people who had died because of the indiscriminate allied bombings – destroying supply routes in Germany – was of course not mentioned, it would have been one of those ‘uninteresting’ details. Revisionists need to learn from that and not step into the trap set by the Industry and discuss details, average people don’t have time for them. Lets take Auschwitz: We are told that during the Hungarian action in 1944 the crematoria were not able to handle the load, thus huge burning pits had to be dug and bodies burned in them. The sizes vary and that can be mentioned. Lets forget about the ‘burning in pits’ the idiocy, and just ask: Where are the pits? The Weasel also talks of pits; why not ask where they are? There must be other ways to simplify the message, and I feel that this is worth a try, the scientific method is not working; the public likes simple tales. Convince the so called intelligentsia? Forget it, why would anyone of them endanger his/her career? Prof. Nolte only mumbled ‘but, but’ and was send into the desert. Wilf, you are right of course but the KISS strategy doesn't really work for our side, as we are trying to counter the standard fallacies, and doing it by saying something such as 'no gas chambers no six million' simply won't win the day. We are into a technical and operational debate, leaving aside the emotion for a moment. If a believer says they don't doubt it and we are wrong to suggest otherwise, simply telling them that there are no gas chambers, no burning pits, nonsensical witness statements and outright fabrications, doesn't work in my experience because they have already accepted that it is all true. Those we must target are those with a brain and a dollop of inquisitiveness, an open mind and perhaps a feeling of maybe possibly being lied to. That the story they once believed doesn't quite add up and they want to find out more. Codoh does this perfectly and our responsibility is to spread the message far and wide. Obviously, Neugierig is one of those many people who never understood anything I ever said or wrote. Does Neugierig understand the importance of bright red coloring of corpses of people who died from carbon monoxide? Of course, not! Even that is too technical. Does Neugierig have any idea why diesel engines and gasoline engines are different--and/or why it matters? Of course, not! neugierig wrote: i]Lets forget about the ‘burning in pits’ the idiocy, and just ask: Where are the pits? The Weasel also talks of pits; why not ask where they are? Lets forget about the ‘burning in pits’ the idiocy, and just ask: Where are the gas chambers? I missed one important point in debate, to mention that nobody was ever able to show alleged nazi gas chamber used for alleged murders and explain how this killing device worked as alleged...or as not alleged. I would suggest that holohoax revisionism needs to keep fighting on all fronts if we are to have any hope of eventually winning the battle for historical truth. Mr. Berg, I’m sure neugierig understands most of the technical details of your work. The point I think he was trying to make here is that the majority of humanity doesn’t care if what they believe in is actually fantasy or reality; they’ll just mindlessly go along with whatever the people around them believe in so as not to stick out from the crowd. The late Dr. Pierce called these people lemmings. The Jews understand the psychology of the human lemming all too well. That is why the Hoax still rules supreme despite having no basis in reality or historical fact. Gee, Charles Traynor, I do hope you are right about Neugierig understanding "most of the technical details of your [my] work." Unfortunately, I have no evidence of that at all. In fact, I have never been able to even tell whether Neugierig is really a holocaust denier or where he stands on the issues. He loves to talk in riddles. Also, when someone else speaks of "technical details," I wonder seriously what it is that they understand, if anything. The gross ignorance of most people about the technology that surrounds them amazes me more and more. For example, even among full-time auto mechanics in this country, hardly any of them from my experience have any idea as to how a diesel engine differs operationally from a gasoline engine. I say all of this with much regret because the technical issues, even "details," are essential in exposing the hoax. The "historians" are techno-idiots with no exceptions that I have ever found. It really is a waste of time to even talk to them--and that makes the revisionist dilemma very difficult. However, it is a dilemma that must be overcome with creative presentations of revisionist evidence. To combat what are literally mountains of manufactured false evidence, it does no good at all to simply "ask questions." "Where are the gas chambers?" Really? They are right over here, and here are the stairs leading to the gas chambers, and over here is the crematorium next to the gas chamber from which the smoke filled the sky. Friedrich, I commend your detailed and technical approach and your superior knowledge but you cannot have a go at someone from this side of the fence, just because he has a different approach to disseminating the holohoax myths. The way we will win this holohoax is to get this message to massive general public audiences. This clearly is very difficult. Most normal people in the west don't know much about the big H and what they do know is of course the usual codswollop dished out liberally. Even people who one would expect to have a higher general knowledge about the big H are sadly lacking in both competency and interest. I give an example. Last weekend I met a British guy of Polish extraction. Both his parents were born in Poland in 1930 and 1933. All of their family left Poland in the war. Many ended up in what is now Byelorussia and Ukraine (they never returned to Poland which is in itself worthy of more research) and his parents came to the UK. Given all of the above, his interest level in the holohoax is very low. Fortunately before I put my big foot in it I checked whether he is jewish, he is Roman Catholic. So Friedrich we all have chances to tell the truth to people and spread the word and we all have our own way of doing it. So relax and take pride in what you have done. BTW how many listeners has the radio show got? When people go out of their way to discredit and undermine my "technical approach" to the subject, I wonder whether "we" are on the same side of the fence at all. Let's stop wasting time with out and out bs. It really does not work. My two cents. Revisionism is better product than extermination theory and it should be sold that way. The holocaust life cycle is on the downside. Revisionism is a rising star and should be marketed that way. Better ideas need to be sold thru repetition. Time to get back to selling basics, folks. Our target market is ripe, all we need to do is find the individual's hot button and allow them to purchase our superior product. The other side is petrified of the successes of revisionism. The deeper I look, the more fear I find. They are coming apart at the seams. Friedrich Paul Berg wrote: When people go out of their way to discredit and undermine my "technical approach" to the subject, I wonder whether "we" are on the same side of the fence at all. Let's stop wasting time with out and out bs. It really does not work. stand behind your expertise and work their own track. We should all play to the audience du jour. I'm on the tech. side like you but have recently been questioning the psycho side. The sonderkommando testimony is revered and they are structural members of the holocaust. Without the power of sonderkommando testimony the structure tilts. My point is that: if the gassing story is true, then the sonderkommando were the devils spawn. They took part in mass murder of members of their own tribe. They consorted with the enemy, committed war crimes. They should have been hunted down and shot like rabid dogs, not revered. In addition, we are told that Jews went calmly to their deaths, tricked somehow. This is not a human reaction either. The general public needs awakening with a bucket of cold water. Aside. I really like the one about Muellers buckets of jumping muscles and how "believers" actually stick up for his testimony. Friedrich Paul Berg wrote: I was most surprised by Muehlenkamps's firm but silly belief that there was absolutely no shortage of gasoline in Germany in 1942 and at other times. What war had he been reading about? 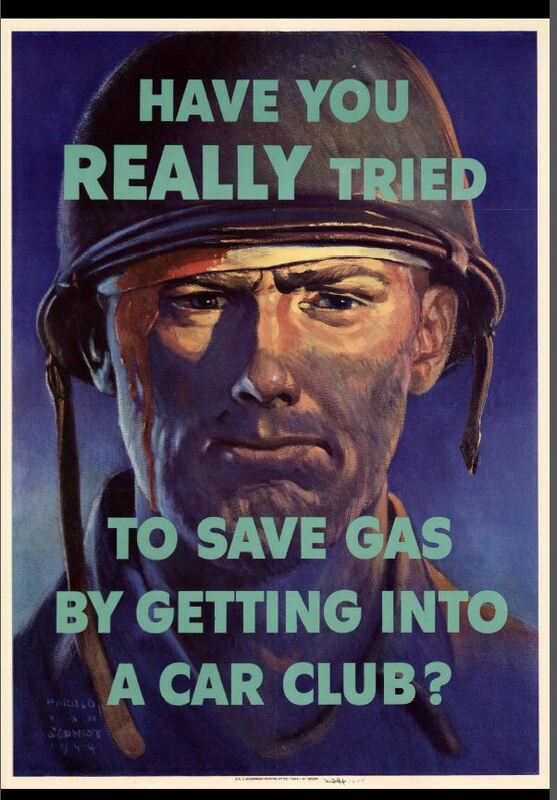 They don't "prove" anything at all of course (not about NS Germany, anyway), but for believers who can't/won't understand the degree to which wartime fuel shortages could affect policy, these U.S. propaganda posters from during the war might at least serve as a place to start. 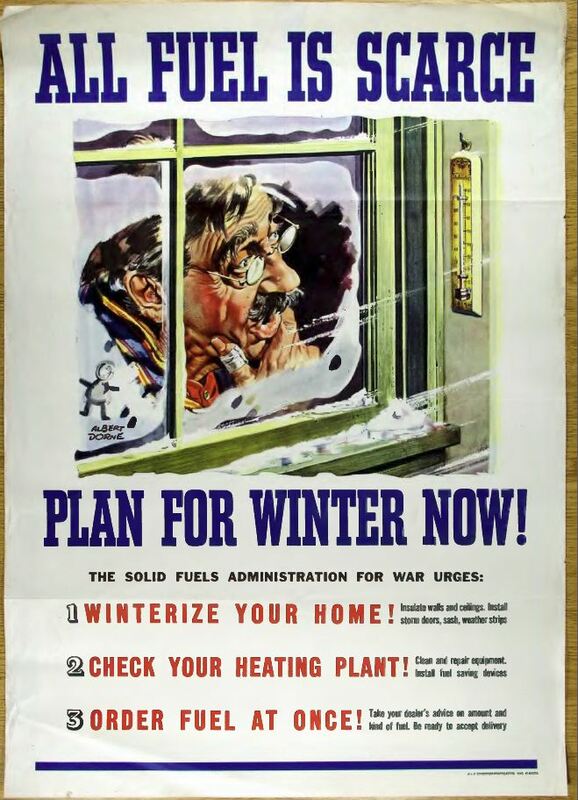 With fuel in short supply in the USA, which had vast supplies available within its own borders (Pennsylvania, Texas, Gulf Coast--remember, this is 70 years ago, back before domestic stocks were depleted), what would things have been like in Germany, which had none at all? 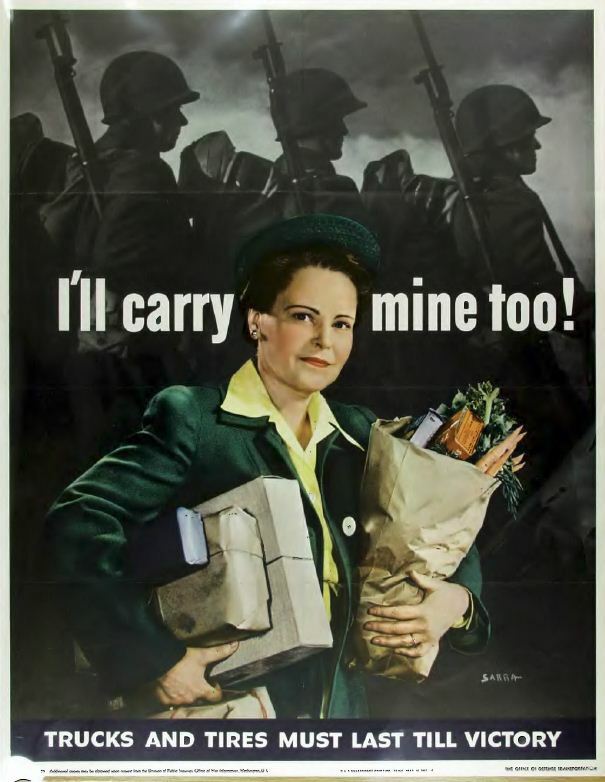 The U.S. wasn't being bombed or blockaded on every side like Germany was, so no problems here with supply lines being cut or refineries being destroyed and so on. And yet: "All Fuel Is Scarce." No dates for the posters, but I've no reason to suspect that they're anything but authentic. Interesting material, anyway, and lots more like it. Worth looking at on scribd. By the way, thanks to Black Rabbit for the great find from the the Southeast Missorian. Throughout the war, the US had more than 80% of the world's petroleum production and Germany, by contrast, had to use coal as an alternative source of hydrocarbons to make 85% of its motor fuels at an enormous expense This is all the more reason to laugh at Muehlenkamp's insistence that because the military controlled the ARC camps, which is not true (Globocznik and Wirth were policeman--not military at all), there was no need to use anything other than gasoline to generate carbon monoxide for mass murder. If the military was involved, they would have known more than anyone else just how logical it was to use Holzgas for mass murder. They had more expertise and more need to conserve than anyone else. One point I made during the debate but which was cutoff by a commercial break was that even though Holzgas is indeed flammable, even explosive in concentrations greater than 12%--within any likely gas chamber, that danger is totally eliminated by simply turning on the water in the shower nozzles. Supposedly, the "gas chambers" were disguised as showers anyway. The toxicity of the carbon monoxide in the Holzgas would have been unaffected by any water spray--and in the process one would have washed away all that "sweat and urine" that Gerstein talked about. A transcript of the debate is urgently needed. Can someone do the hard work of transcribing the entire debate (with time references alongside the transcript for easy verification)? In my opinion, Muehlenkamp made an utter fool of himself which in itself is not important. What is important, however, is that the foolish arguments he used will come up again and again. Muehlenkamp is, at least for the moment, the ugly voice of the hoax. A transcript will help prepare a persuasive set of counter arguments and evidence for future debates and discussions. So please someone, make a transcript of the entire debate!